Neat, nice old Ford! I've always been a Ford truck guy myself. 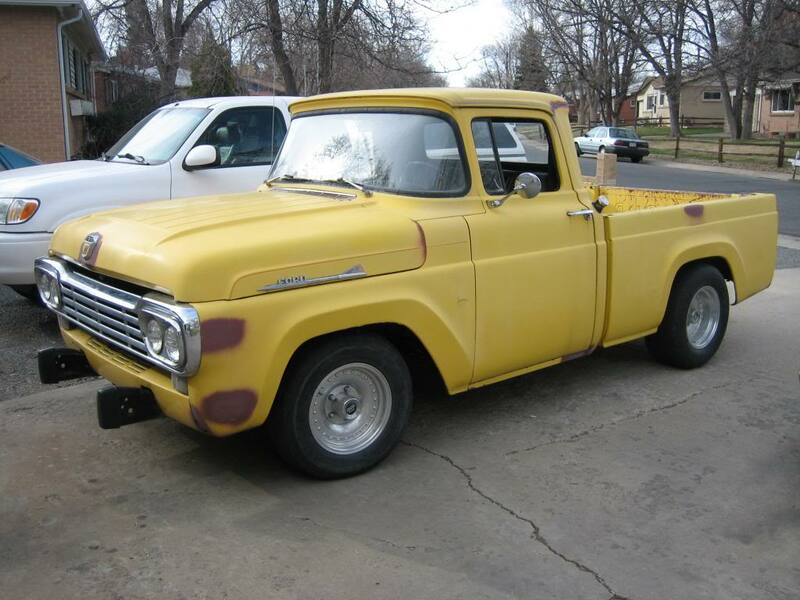 That is a cool old ford truck! 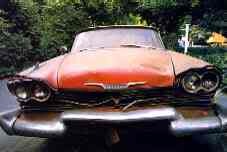 I have a 1960. Which looks a lot like yours. Whats was the size of the original motor? Hi Brian and thanks. Seems there's a good amount of these 57-60 Fords in your neck of the woods. I have not yet investigated the original engine, not sure if it was the 292 or the 6 cyl. Sure gets out of its own way just fine with a bone stock 429 though! Nothin special, medium heads (D3VE). Very Nice Eric, My truck is green and white. It needs some tlc though. But it only has 43k miles on it. It has the six banger in it but runs very nice! The slant forward cab style ford had was very sharp. Mine would be a nice truck for a good restoration. Your 429 must boogie that truck right down the road. lol. Nice truck and you have a solid truck to work with. I will try to post pics of mine soon here. Ive been a ford fan for sometime. Do you have an automatic in yours or a stick? Again very nice truck! Thanks buddy, it's got a C6. There are no power brakes or steering(!!!) so it is a hell of a handful to drive. Originally, it was a manual. Nice clean ol' Ford truck. Man...doesn't look like there's an ounce of rot on it. Amazing for a 56 year old year old vehicle. Has this been in Colorado for most of it's existence? Thanks for sharing! Nice! Thanks for throwing that up! Cool truck. Wow, nice truck. I love to see it in it's original colors. I see some on Craigslist from time to time. South Florida someone had a Mercury truck for sale but too much money for me and need of body work. Mercury trucks are freakin cool!! Pretty rare birds. 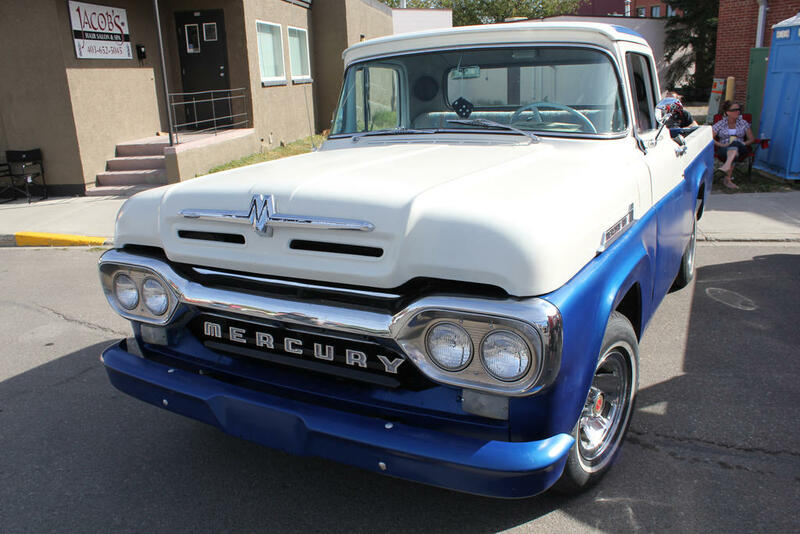 Old Mercury trucks are a very rare bird. Ive only come across one and it was very cool!